The Mission of Radio Station KREV-LP is to enhance the educational and cultural opportunities available in the Estes Valley by broadcasting a diverse mixture of programming that focuses on community specific information, religious and secular programs, and a variety of music. KREV-LP seeks to provide service to the Estes Valley through communication of information and entertainment. Due to the geological location of the Estes Valley, essentially surrounded by mountains, receiving signals from outlying stations is frequently sporadic and undependable. Improving the radio signal to residents and visitors to the Estes Valley will help advance several of the Strategic Plan’s objectives. Guests in the area will have access to a local radio signal, including public service announcements and limited local news. If we can improve our equipment and signal, KREV-LP could play an important part in emergency communications, enhancing the safety of both residents and visitors. Access to local programming by local artists will showcase Estes Park talent. Frequent Public Service Announcements provide information for locals and visitors alike on the myriad activities and events available throughout the Estes Valley. Community partners, including the Park Valley School District, the Estes Park Medical Center, Police Department and Fire District contribute information and educational programming, adding richness to the variety and quality of the broadcasts. The music offerings are diverse, and designed to reach out to as many Valley residents as possible, and run the gamut from Latino and German to Oldies, Gospel, and Classical. The Latino residents are targeted with Spanish language programming and announcements, especially emergency, educational and safety announcements. The anticipated outcomes to be derived from funding include the ability to reach up to 10,000 people in the Estes Valley listening area, bringing them emergency information, community cultural / educational events and programming, as well as entertainment. 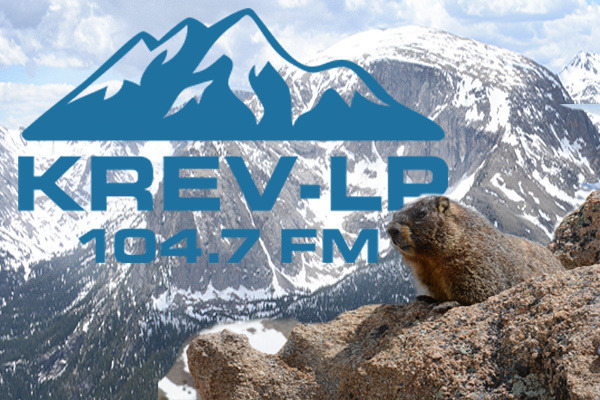 The Estes Valley is the summer home of many seasonal residents who are able to stay in touch with happenings in the Estes Valley through internet streaming, increasing the listenership across the country. Funding would strengthen the station by enabling support of needed technical expertise to enhance the quality of programming, allowing volunteers to focus on seeking underwriting support and development of additional community focused programming. By increasing the technical capacity of the station, it is anticipated that more volunteer time will be spent on securing additional underwriting, making reliance on continuing grant support less necessary.